We’ve all been there. That moment when you realize you lost something. The terrible feeling in the pit of your stomach!\\\\n\\\\nWell, have no fear, QR Man™ is here! 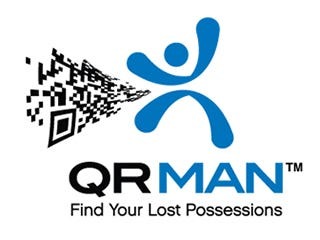 QR Man™ will give you an added sense of security in possibly recovering those lost itemss. QR Man™ security tags and labels are placed on your items you value most!\\\\n\\\\nIn the case they are lost and found, your personal QR Code will lead the finder to you via our website. Some examples of where the QR Man™ stickers are most placed: Keys, Pet collars, Cell Phones, Tablets, Video games, Bikes, Skateboards, Cameras, Sporting goods, Luggage, and much more.\\\\n\\\\nYou will then have the ability to communicate with the finder either directly or anonymously on the QR Man™ Message Board. With QR Man™, you are always safe and in control of how you share your personal information. Thank you very much for visiting our profile, we has 7 plus years experience in web & Mobile technology, impeccable technical skills, high quality Standards and references. Why you should hire us? 1. We pay attention to detailing to what client wants and suggest him best solution. 2. We have excellent designs skills that includes CSS-3, HTML-5 , Responsive design, Bootstrap design 3. We have excellent coding skills, we create plugins, modules & follow W3C complaints coding standards. 4. We have excellent Verbal and written skills & we work at US, Australian & UK time Zone 5. We provide maintenance service to client even after website is live for a minimum of 3 months.